Get ahead by overcoming nerves and developing the cutting edge skills to impress and succeed! 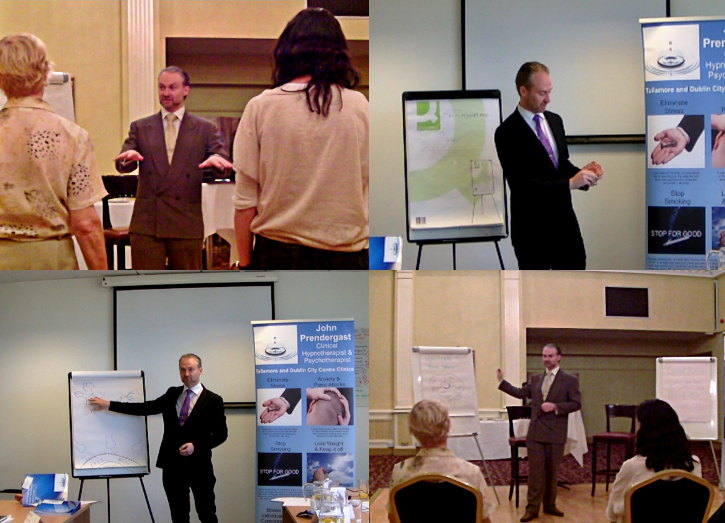 For some people public speaking leads to promotions, for others greater profits, for more it creates greater opportunities, however, it’s the world’s number one fear! Learn the top level, cutting edge skills to impress and get your message across while being relaxed! Controling your state of mind does more than just free you from nervousness; it makes success much easier. Many of the geniuses of world business do this instinctively but you can learn how. Combined with this you will gain the skills for creating impact, maintaining interest, and influencing your audience. This training can be delivered to any size group. My team of therapists & coaches and myself are happy to work with groups from 6 people up. For large groups we provide a therapist per every 12 participants to ensure your success. Usually training of this sort takes 7 hours and can be delivered on-site or in clinic as required, and may form part of a full day or multiple day course as suits your needs.